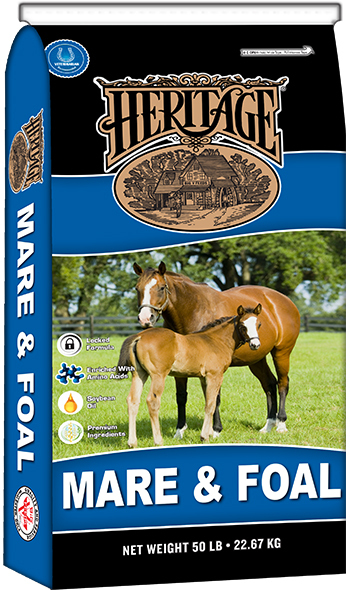 Heritage Professional 14% is to be fed to mares, stallions, yearlings, weanlings, mature pleasure (light activity), and performance (moderate & intense activity) horses. 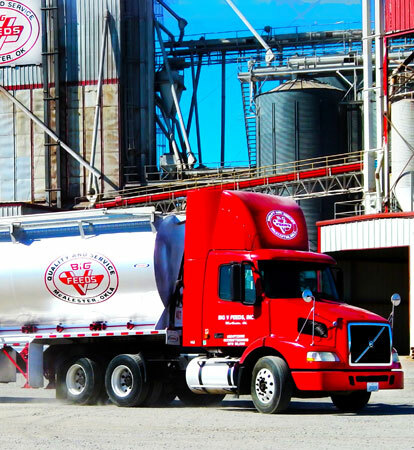 Vitamin D, Min ................................................. 400 IU/lb. Vitamin E, Min ................................................. 130 IU/lb. Biotin, Min ..................................................... 1.00 mg/lb. 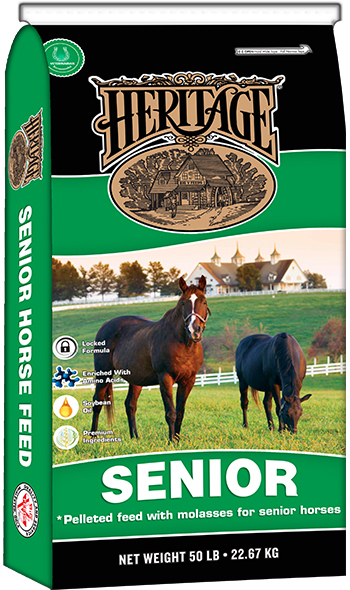 Alfalfa Meal Dehydrated, Wheat Middlings, Rice Bran, Soybean Hulls, Soybean Meal, Beet Pulp Dried Plan, Flax Seed Meal, Corn, Soybean Oil, Salt, Calcium Carbonate, Monocalcium/Dicalcium Phosphate, Saccharomyces cerevisiae, L-Lysine, DL-Methionine, Corn Distillers Dried Grains with Solubles, Ferrous Sulfate, Vitamin E Supplement, Choline Chloride, Zinc Hydroxychloride, Zinc Sulfate, Zinc Methionine, Complex, Manganese Hydroxychloride, Manganese Sulfate, Manganese Methoinine Complex, Basic Copper Chloride, Sodium Selenite, Copper Sulfate, Copper Lysine Complex, Niacin Supplement, Thiamine Mononitrate, Biotin, Vitamin A Supplement, D-Calcium Pantothenate, Folic Acid, Riboflavin Supplement, Pyridoxine Hydrochloride, Vitamin D3 Supplement, Vitamin B12 Supplement, Ethylenediamine Dihydroiodide, Cobalt Carbonate, Cobalt Glucoheptonate, Menadione Sodium Bisulfite Complex, Ascorbic Acid, Dried Bacillus Licheniformis Fermentation Product, Dried Bacillus Subtilis Fermentation Product, Sodium Silico Aluminate, Brewers Dry Yeast, Bentonite, Hydrated Sodium Calcium Alumino Silicates, Calcium Propionate (preservative), Ethoxyquin (preservative), BHA (preservative), Natural & Artificial Flavor Ingredients. 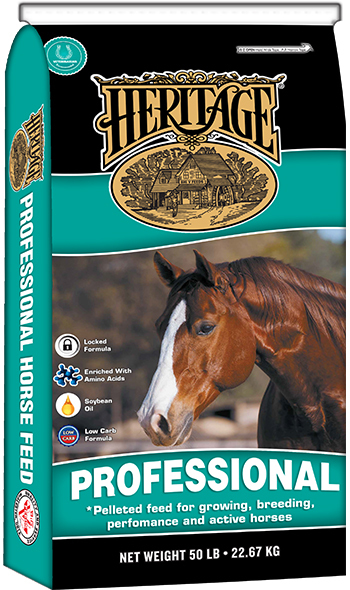 The feeding chart is intended as a guide for feeding Heritage Professional 14% Horse Pellets. 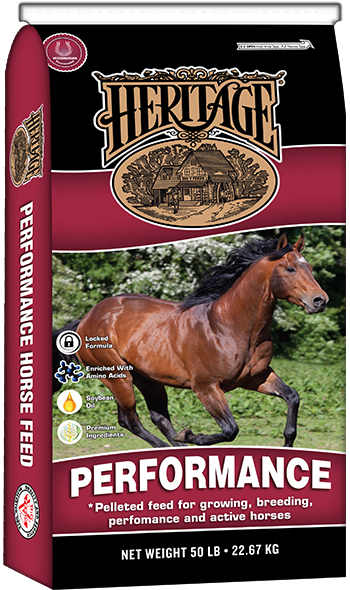 Elevated levels of highly digestible fiber such as soybean hulls, alfalfa meal, beet pulp, and rice bran allows for easy digestion, provide extra calories in a safe form, plus convenience of one feed for entire stable.